As ANC supporters gather in Manguang (Bloemfontein) this weekend to celebrate the centenary of the organisation’s founding, I want to trace the often difficult relationship between the City of London Anti-Apartheid Group and the ANC. While I honour the role played by ANC cadre and supporters in the struggle against apartheid, by charting their relationship with one of the most militant solidarity movements in Europe, I want to complicate simplistic and romanticized histories of the ANC’s leadership of the international movement against apartheid. A long-standing ANC supporter, Norma Kitson, was central to the founding of the City of London Anti-Apartheid Group [City Group] in 1982. City Group is best known for organising the Non-Stop Picket of the South African Embassy in London (from April 1986 until February 1990) which, as its central demand, called for the unconditional release of Nelson Mandela. And yet, within a couple of years of the founding of City Group both Norma Kitson and her husband David (previously the longest-serving white political prisoner in South Africa, having been part of the leadership of Umkhonto we Siswe after Mandela’s arrest) had been suspended from the ANC (although, in David’s case, he was suspended from an organisation he had never technically joined – he was a member of the South African Communist Party). The ANC in London opposed the Non-Stop Picket; and, it was not until the early 1990s that official ANC speakers once again addressed City Group events. Given its founders, City Group had the utmost respect for the ANC. Indeed, in March 1982, City Group submitted a resolution to a meeting of the British Anti-Apartheid Movement (AAM) insisting that the Chief Representative of the ANC should be introduced to the audience at AAM events “in a proper and respectful fashion”. Although a number of other factors (which I will address in due course) also seem to have been at play, a key political reason for the breakdown in relations between the London ANC and City Group seems to have been that City Group did not just restrict their respect and solidarity to the ANC. From the beginning, City Group took the position that it was not the role of British solidarity activists to favour one liberation movement over another. Consequently, City Group extended solidarity to the Pan-Africanist Congress (PAC), AZAPO and all progressive movements resisting apartheid, as well as the ANC. we are aware of the activities of these people and if they are not brought to a stop a lot of damage will be done in the field of solidarity work in this country. (The Anti-Apartheid Movement and City AA: a statement by the AAM executive committee, 1 December 1985). When City Group decided to launch the Non-Stop Picket of the South African Embassy, and on several occasions subsequently, they sought reconciliation with the London ANC. In March 1986, a month before the start of the Non-Stop Picket, a letter was sent from City Group to the Chief Representative of the ANC in London requesting a meeting “to discuss the criticisms you have had of our work over the last few years”. Despite this approach, the ANC continued to undermine attempts to build support for the Non-Stop Picket. ANC members exerted pressure and influence in numerous trade union branches, local anti-apartheid groups and student unions to block support for the Non-Stop Picket. They did so at Wakefield and District Anti-Apartheid Group in December 1986; at Liverpool University in February 1987; and elsewhere. Let’s be clear about this, the ANC in the UK actively sought to deter people from demonstrating against apartheid outside the South African Embassy in London at the height of the State of Emergency in South Africa. Your speeches made it to all but those who chose not to hear that, as you have always maintained, you have no political difference with the ANC, and that the rift between you is wholly a by-product of the split within the anti-apartheid movement engendered by the sectarian expulsion of City AA from the AAM. If David Kitson was an ANC loyalist – a ‘Mandela Man’, as he often described himself – he was also a loyal member of the South African Communist Party [SACP]. He ended up in the leadership of Umkhonto we Siswe precisely because he obeyed party discipline and stayed in South Africa in the early 1960s when many other white communists were leaving for exile. That he did so may have done little to endear him to some of the white exiles who had made comfortable lives for themselves in London during his long imprisonment. Indeed this may, in part, explain some of the troubles that Norma and David Kitson faced in London in the early 1980s. Norma and I attended the open session of the conference and the reception the same evening in the Sheraton Hotel. … It was odd meeting people we had worked with 35 years before. For instance Henry ‘Squire’ Magothi was there. In 1953 he and I shared a room in London with Alfred Hutchinson, now dead, en route to the Bucharest Youth Festival. He is now Assistant General Secretary of the ANC. After he fell on my neck, all the shits in the ANC decided they could be friendly too. It was very matey, with ANC and PAC leaders, formerly at daggers drawn, being very amicable. … One who never noticed our presence, even from a few feet away, was Joe Slovo. With the (re)appointment of Mendi Msimang as Chief Representative of the ANC in Britain in the late 1980s, the relationship between the ANC in London and City Group also slowly began to change. The ANC began to acknowledge receipt of the material aid and donations collected by City Group. As the situation changed in South Africa after Mandela’s release and the unbanning of the ANC, the London ANC’s attitude changed further. From early 1991, ANC representatives began once again to speak at rallies organised by the City of London Anti-Apartheid Group and to share platforms at them with representatives of the PAC and the Black Consciousness Movement of Azania. In 1993, the ANC revealed that Solly Smith had confessed, prior to his death, that he had been a spy for South African Military Intelligence inside the London ANC. It is thought that the ANC were aware of his duplicity as early as 1987 (when he was replaced as Chief Representative in London). 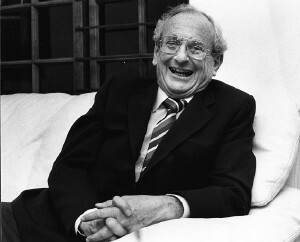 Alongside Smith, Francis Meli, the Chair of the ANC’s Regional Political Committee in London at the time of the Kitsons’ suspension was also revealed as a spy for the apartheid regime. Although they undoubtedly manipulated existing personal and political tensions with the London ANC, both men played a key role in sidelining two long-term ANC cadre and the high-profile, militant solidarity campaign that they had helped to build in London. Of course, in sticking to their political principles and refusing to back down, the Kitsons and City Group also fanned the flames of this dispute. As people in South Africa and around the world celebrate the centenary of the ANC and remember its honourable role in the struggle against apartheid, I hope that some will pause to reflect on some of its less honourable episodes. At this time, let’s recognise the commitment and sacrifices of those whose role in the struggle is in danger of being overlooked and forgotten. This entry was posted in Archival research and tagged ANC, ANC Centenary, Anti-Apartheid Movement, City of London Anti-Apartheid Group, David Kitson, Francis Meli, Non-Stop Picket, Norma Kitson, Solly Smith. Bookmark the permalink. Excellent Gavin. Loved the “…shits in the ANC…” comment from David. I’ll never forget one particular meeting with David when he told us to be aware that when apartheid finally goes, the “…real work would have to start!” He really was a great man. Surely the Non-Stop Picket began earlier than 1986? I recall attending a City Group meeting in ’84 or (more likely) ’85, by which time I’m sure the picket was on, since that’s how I came to hear of City Group, as best I can recollect. 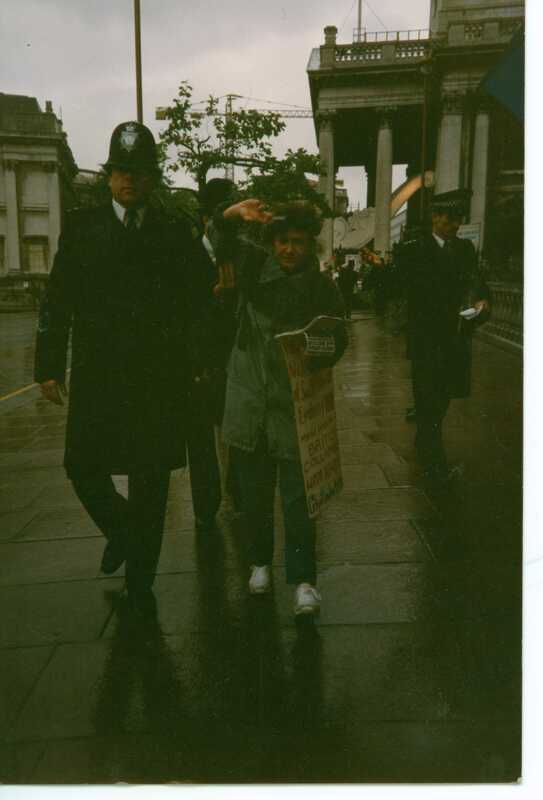 The first non-stop picket lasted for 86 days in 1982. After that, City Group picketed the embassy every Friday night and sometimes for 24 hours or a few days here and there. They did not launched another continuous protest until the start of the Non-Stop Picket for the release of Mandela on 19 April 1986. No, I see I must be thinking of the earlier 86-day picket. My main memory is of Amandla bouncing and fizzing with brio, getting everyone going and keeping them going. I was 18 or 19, and single, and a bit awestruck — I don’t think I said a word to her — so the impression stuck. Time has done little to make it fade.